Custom made Beads, Charms, Pendants and more made in the USA. Manufactured in the USA from your design. Whether you need a logo bead, customized spacer bead or other beads for your jewelry or business we can help bring your ideas to life. Our quality pewter castings are made from lead safe metal. Your customized item can be plated in silver, gold, brass and more. 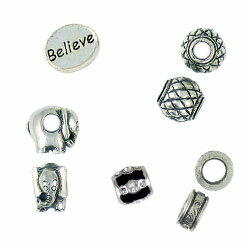 Our production is not limited to beads and charms. We have expertise in the production of many customized items, including buttons, belt buckles, hardware and more. Let us create an item from your design or let our designers help you bring your concept to life. 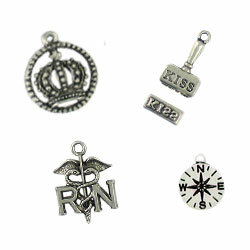 You don’t have to be a designer to have a bead, charm, pendant or other components custom made. We can help you with the design and our skilled staff have years of experience creating beautiful cast pewter components. Creative Castings was established in 1993 as a subsidiary of Contemporary Beads & Castings, Inc. The company manufactures a range of jewelry components including beads, charms, pendants and a variety of clasps and toggles. These items are sold exclusively through Contemporary Beads & Castings, Inc.
All our products are made from high quality lead free and cadmium free pewter. 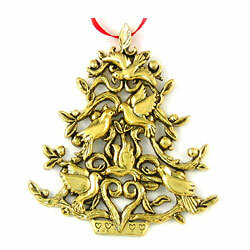 A variety of plated finishes such as silver, gold, copper, brass, gunmetal, etc. is available.